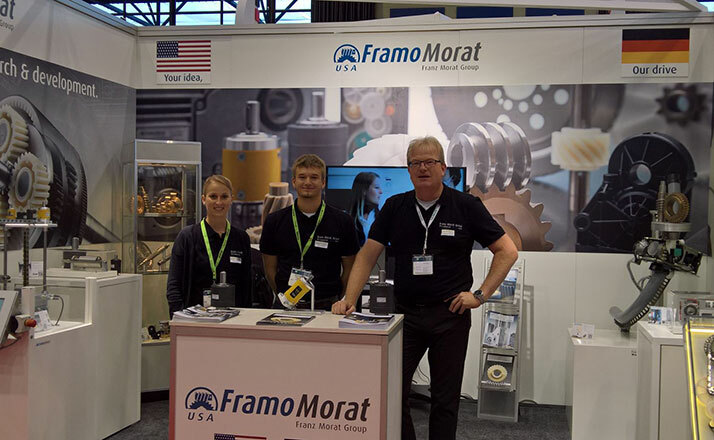 From April 08-11, Framo Morat, Inc. will exhibit at the Automate tradeshow in Chicago for the first time. With more than 450 exhibitors and 20,000 attendees, Automate showcases the full spectrum of automation technologies and solutions – from traditional industrial applications to cutting edge new technologies. Your Automate badge also gets you into the ProMat, North America’s premier material handling and supply chain solutions show. On display will be our newly developed, outstandingly compact wheel hub drive for driverless transport systems, and our new planetary gear series, which are used in drum motors for conveyors or in handling systems of all kinds. We will also showcase our wide range of high-precision gear wheels and shafts that we manufacture of both metals and thermoplastics. Visit us on booth 9162 and benefit from over 100 years of experience in the fields of gear and drive technology.